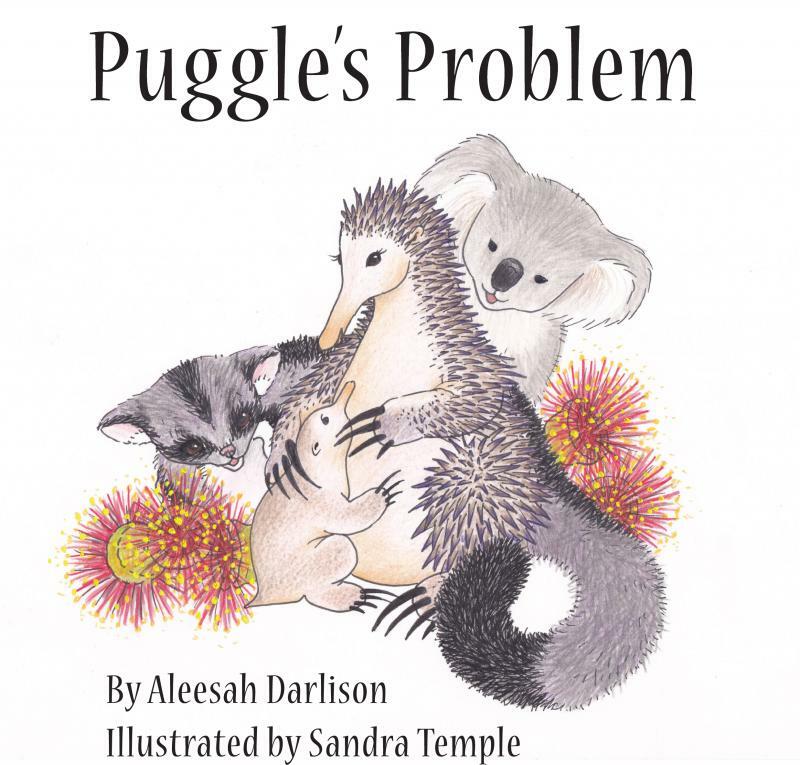 Puggle's Problem is the first release from Sydney children's author Aleesah Darlison and young children will delight in this reassuring tale. The book works on many levels. Puggle's Problem gently shows children that we all develop at different rates and while we may be skilled at some tasks there will always be somethings outside of our control. Sometimes all we can do is be patient and wait for changes and in the meantime we we will be accepted and valued for who we are now. Darlison uses the strategy of Pipp asking his friends Grunt the koala, Mumble the wombat, Bounder the kangaroo and Merry the kookaburra to show that we do not need to be like everyone else and what works for one does not necessarily work for another. We are all individuals. Pipp's venture into the bush provides the perfect vehicle for accomplished wildlife artist Sandra Temple's illustrations. My favourite was of Pipp chewing on gum leaves on the advice of Grunt. Plenty of white space ensures that the focus of the illustrations is on the characters. Endpapers featuring ants add to the quality feel of this book. 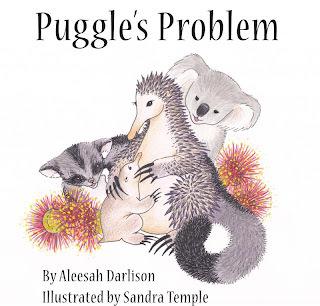 Puggle's Problem is the perfect book to be shared by parent and child snuggled up together.